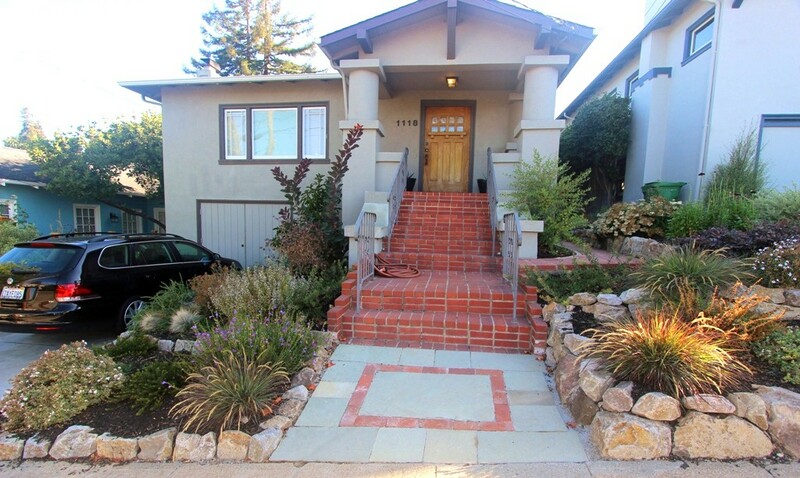 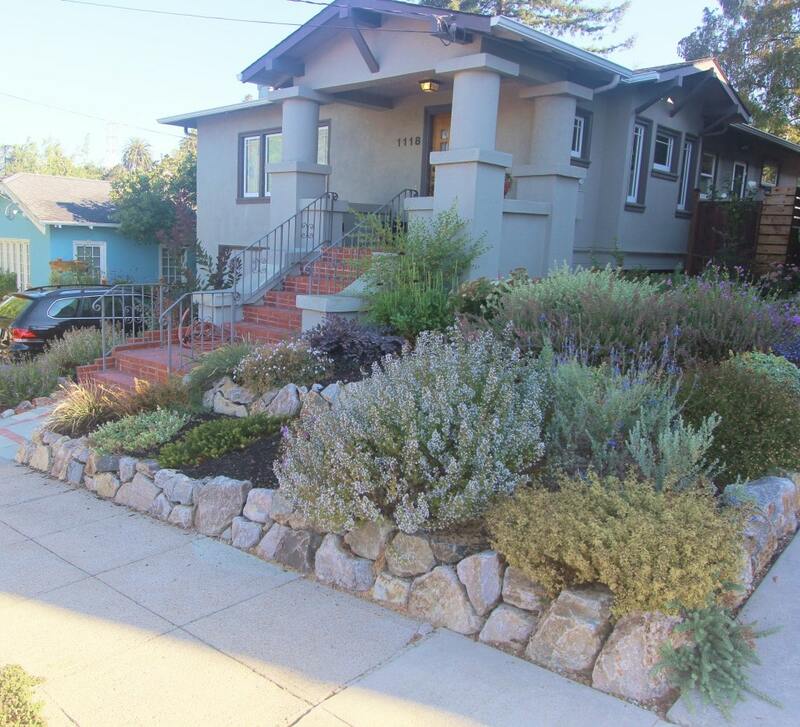 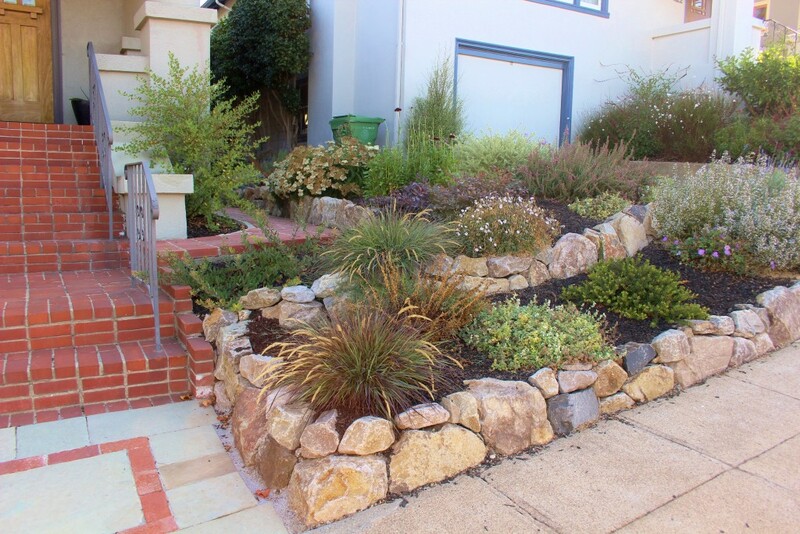 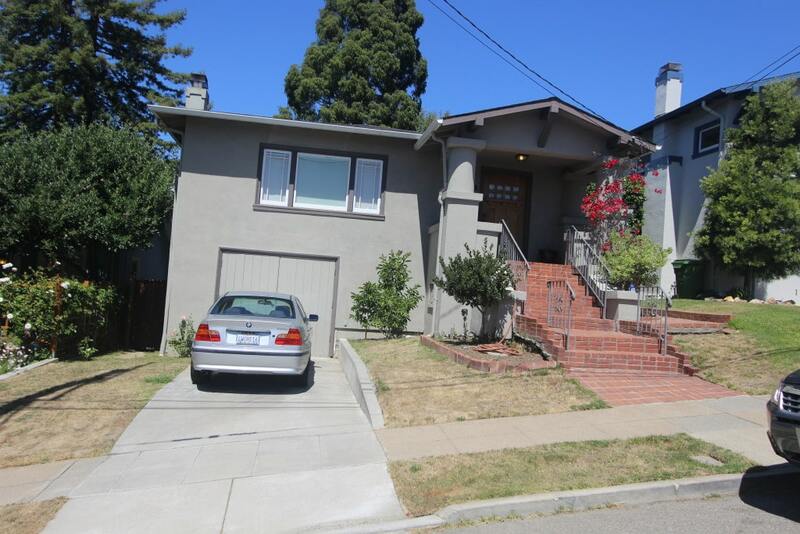 This Oakland project was a sheet-mulch, lawn conversion that includes an area that is shared between two neighbors. 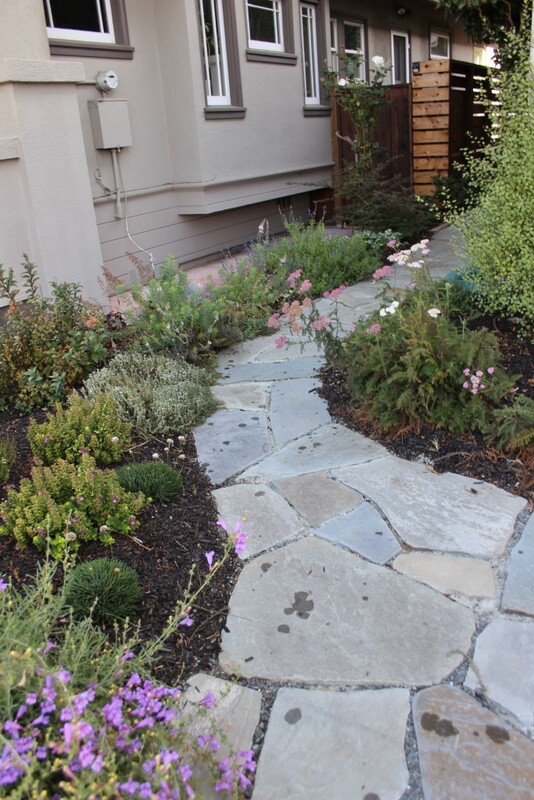 Stone terracing, flagstone pathways, a variety of California natives and other, low-water use plants combine for a beautiful, naturalistic addition to the neighborhood. 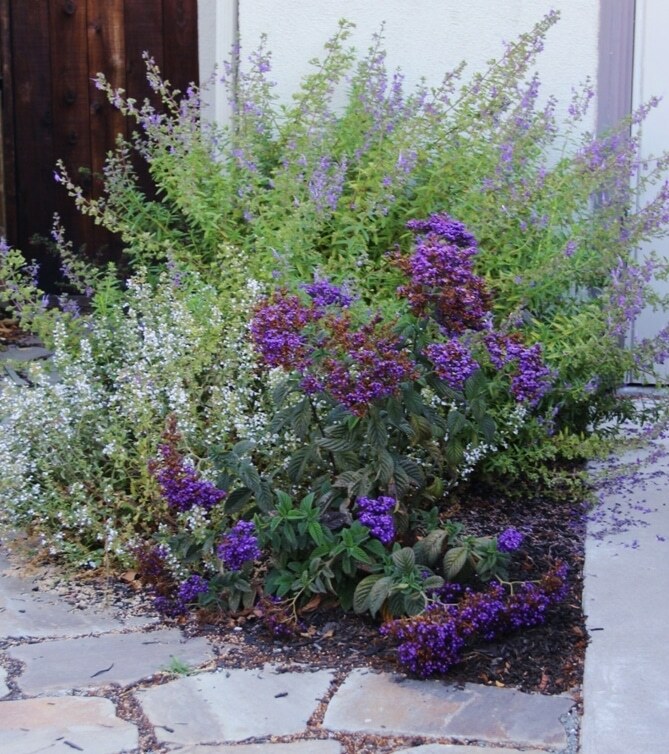 Foliage and flower color was specifically selected to complement house color. 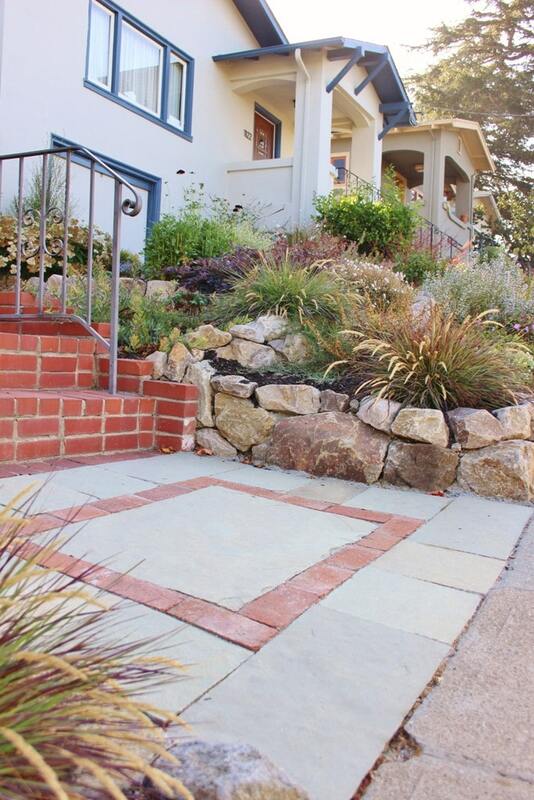 Additional feature: new flagstone & brick landing at the bottom of the stairs updates the entryway to the home.